“IF OUR party can’t even handle food-safety issues properly, and keeps on mishandling them, then people will ask whether we are fit to keep ruling China.” So Xi Jinping warned officials in 2013, a year after he became the country’s leader. It was a remarkable statement for the chief of a Communist Party that has always claimed to have the backing of “the people”. It suggested that Mr Xi understood how grievances about official incompetence and corruption risked boiling over. Mr Xi rounded up tens of thousands of erring officials, waging a war on corruption of an intensity not seen since the party came to power in 1949. Many thought he was right to do so. Today, however, China is enduring its biggest public-health scandal in years. Tens of millions of dollars-worth of black-market, out-of-date and improperly stored vaccines have been sold to government health centres, which have in turn been making money by selling them to patients. Mr Xi’s anti-graft war has often made little difference to ordinary people. Their life—and health—is still blighted by corruption. In recent days there have also been signs of discontent with Mr Xi among the elite: official media complaining openly about reporting restrictions, a prominent businessman attacking him on his microblog, a senior editor resigning in disgust. Mr Xi has acquired more power than any Chinese leader since Mao Zedong. It was supposed to let him get things done. What is going wrong? In fairness, Mr Xi was bound to meet with hostility. Many officials are angry because he has ripped up the compact by which they have operated and which said that they could line their pockets, so long as corruption was not flagrant and they did their job well. But Mr Xi has also found that the pursuit of power is all-consuming: it does not leave room for much else. In three and a half years in charge, he has accumulated titles at an astonishing pace. He is not only party leader, head of state and commander-in-chief, but is also running reform, the security services and the economy. In effect, the party’s hallowed notion of “collective” leadership (see article) has been jettisoned. Mr Xi is, one analyst says, “Chairman of Everything”. At the same time, he has flouted the party’s ban on personality cults, introduced in 1982 to prevent another episode of Maoist madness. Official media are filled with fawning over “Uncle Xi” and his wife, Peng Liyuan, a folk-singer whom flatterers call “Mama Peng”. A video, released in March, of a dance called “Uncle Xi in love with Mama Peng” has already been viewed over 300,000 times. There have been rumours recently that Mr Xi feels some of this has been going a bit far. Some of the most toadying videos, such as “The east is red again” (comparing Mr Xi to Mao), have been scrubbed from the internet. Many would take that as a sign that the personality cult is little more than harmless fun. Mr Xi is no Mao, whose tyrannical nature and love of adulation were so great that he blithely led the country into the frenzy and violence of the Cultural Revolution. 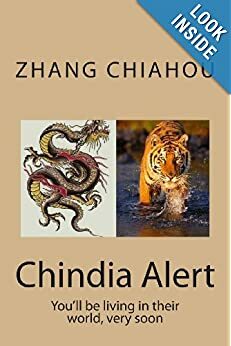 Although some older Chinese squirm at a style of politics so reminiscent of days long past, there is no suggestion that China is on the brink of another such horror. Chinese pharmacologist Tu Youyou, who won a share of the Nobel Prize for medicine on Monday for her discovery of a game-changing malaria treatment, did her seminal work when China was in the midst of the radical movement known as the Cultural Revolution. Her pathbreaking Nobel win is renewing discussion of the way China’s scientific community does research. The award to Ms. Tu ticks a number of firsts: She’s the first citizen of the People’s Republic to win a science Nobel, the first Chinese citizen to win a Nobel for medicine and the first female Chinese citizen to win a Nobel of any kind. In marveling at that feat, Chinese media have dwelled on Ms. Tu’s lack of academic credentials. The 84-year-old chief professor at the China Academy of Traditional Chinese Medicine is without a PhD, without an overseas education and without the title of yuanshi (or academician) given to the country’s top scholars. For that reason, she has been referred to as China’s “three withouts” scientist. Prior to her winning the prestigious Lasker Prize for Medical Research in 2011, she was an obscure figure. That a future Nobel laureate could be ignored for her lack of traditional accomplishments has renewed attention to an academic system already criticized by many as bureaucratic and unimaginative. “It seems like every headline I’ve seen today says ”Three-Withouts’ Scientist Tu Youyou Wins Nobel for Medicine.’ That’s not a headline, but a question we should all ponder,” cinematographer Wang Peishan wrote in one of many similar comments on the Twitter-like Weibo social media platform. Ear-splitting explosions go off and plumes of gray smoke drift over the arid Shaanxi countryside of northwestern China. Ragtag Communist soldiers in blue uniforms fire their rifles at an advancing Nationalist tank while villagers run for cover. Finally, justice prevails; the red flag of the Chinese Communist Party is held proudly aloft while peasants dance in celebration. It’s a scene repeated every day at 11 a.m. as 350 actors reenact the “Defense of Yan’an,” a famous battle against the Nationalist forces of Generalissimo Chiang Kai-shek that was crucial to the founding of the People’s Republic in 1949. “By coming here we can understand how the party sacrificed, created the new China, and built such a beautiful country for us,” says 13-year-old Deng Yi, visiting from Wenzhou, who along with his mother and father, each shelled out 150 yuan ($24) to watch the show. That’s what China’s leaders want to hear as they expand “red tourism” in more than 100 sites across China. Their goal: to boost patriotism and support for the Chinese Communist Party. “We need to seize these two concepts—red bases and patriotic education on the one hand and developing red tourism on the other,” said President Xi Jinping in March. Red tourism is not new to China. Millions flocked to red sites including Mao Zedong’s birthplace in Shaoshan, Hunan province, during the Cultural Revolution from 1966 to 1976. Visits to revolutionary locales spiked in 2011, as China prepared to celebrate the party’s 90th anniversary. If China’s leaders have their way, red tourism will have a massive renaissance. Already last year, 786 million tourists visited revolutionary sites, up 17.3 percent from the previous year, generating 198.6 billion yuan ($32 billion) in revenue, up 19.1 percent, according to the National Tourism Administration. One of the most popular is Yan’an, the “cradle of the revolution” where Mao, General Zhu De, and other revolutionaries spent more than a decade living in caves starting in 1936. It’s also where President Xi, while a teenager, spent seven years among the peasants during the Cultural Revolution. Jinggangshan, in Jiangxi province, where the rebels hid out in the late 1920s and early 1930s, and Zunyi, in Guizhou province, a key stop on the Long March, are also top destinations. To prepare for the onslaught of photo-snapping fellow travelers, China’s Ministry of Civil Affairs last year spent 2.8 billion yuan on constructing memorials, while the state bureau in charge of cultural relics earmarked 487 million yuan for renovating red sites. Another 1.5 billion yuan was spent on 66 “red tourism highways” across the country. “We hope to teach the next generation about what happened before,” says Hong Jiasheng, chairman of Yan’an Shengdian Red Tourism Development, which is run jointly with the local government and draws 500,000 tourists annually. An entrepreneur from Zhejiang province, Hong launched on July 6 a similar show in Fushun, Liaoning province, reenacting an important 1948 battle. The push to develop red tourism is part of a larger campaign launched in December to instill citizens with what Xi calls core socialist values aimed at realizing the “Chinese Dream.” Those include patriotism, dedication, civility, and harmony. The values campaign will expand patriotic education in primary and middle schools, with university students encouraged to go on organized weeklong summer visits to red sites. Since China’s opening to the world, “Chinese have embraced diversified thoughts, including the decayed, outdated ideals of mammonism and extreme individualism,” the People’s Daily said in a February editorial. 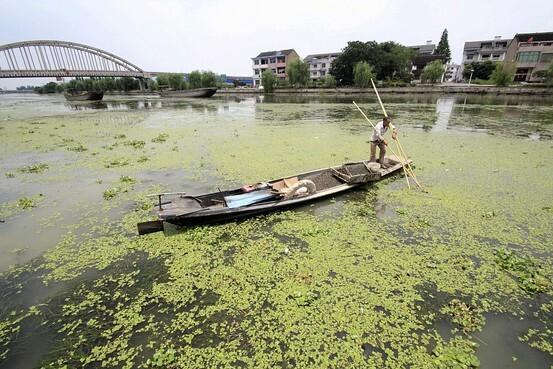 via China’s Patriotic Red Tourism Makes a Comeback – Businessweek. Nearly half a century after Bian Zhongyun was beaten, kicked, tormented and left to die, bloody and alone, at the Beijing girls’ school where she was deputy principal, a daughter of the Communist Party elite has offered public penance — of a kind that instantly brought controversy — for her part in one of the most notorious killings of the Cultural Revolution. Growing numbers of aging Red Guards have declared their contrition for violence perpetrated from 1966, when Mao Zedong urged students to turn against the school and party authorities he accused of stymieing his vision of a revolutionary society cleansed of ideological laxity. But the apology from Song Binbin, reported by The Beijing News on Monday, quickly drew attention and was featured on many Chinese news websites. Here was a daughter of a veteran revolutionary apologizing for what has been widely described as the first killing of a teacher in the decade-long Cultural Revolution. 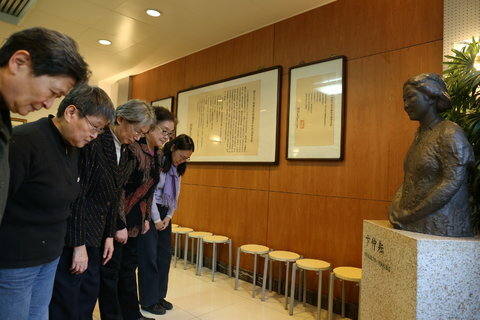 Ms. Song’s father was Song Renqiong, a general who served as a senior official under Mao and later Deng Xiaoping. Ms. Song herself won fame as a member of the first wave of Red Guards when she was photographed meeting Mao. But for years, many of them spent in the United States, she was muted about the death of Ms. Bian, a deputy principal at the elite Beijing Normal University Girls High School, where she was a student. The Cultural Revolution remains a sensitive, and heavily censored, chapter in China’s history. President Xi Jinping mentioned it only once and briefly in a speech last month celebrating the 120th anniversary of Mao’s birth. On Sunday in Beijing, Ms. Song, who was born in 1949, told a gathering of former students and teachers from the school that she was sorry. via Bowed and Remorseful, Former Red Guard Recalls Teacher’s Death – NYTimes.com. More than 85 per cent of respondents in a Chinese state media survey said that Mao Zedong\’s achievements outweigh his mistakes, as the country prepares to mark 120 years since the \”Great Helmsman\’s\” birth. Mao\’s legacy remains mixed in China, where he is revered for the 1949 founding of the People\’s Republic but authorities have called for restraint in commemorating the anniversary. Mao is blamed for the deaths of tens of millions due to famine following his \”Great Leap Forward\” and the decade of chaos known as the Cultural Revolution. Since his death in 1976, the Chinese Communist Party\’s official line has been he was \”70 per cent right and 30 per cent wrong\”. But participants in the survey conducted Monday and Tuesday by the Global Times newspaper, which is close to the ruling party, seemed to hold an even more favourable view of Mao. 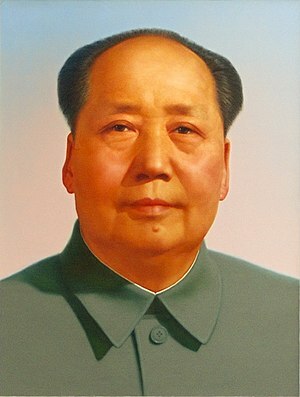 Asked \”Do you agree that Mao Zedong\’s achievements outweigh his mistakes?\” 78.3 per cent of respondents in the Global Times survey said they agreed, 6.8 per cent strongly agreed and only 11.7 per cent disagreed. About three per cent said they did not know. Nearly 90 per cent of those surveyed said that Mao\’s \”greatest merit\” was \”founding an independent nation through revolution\”. 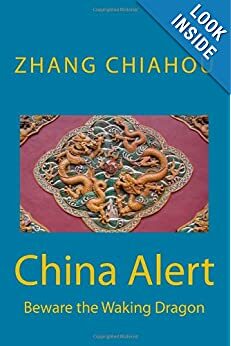 China\’s ruling Communist Party heavily censors accounts of Mao\’s 27-year-long rule, and there has never been a full historical reckoning of his actions in the country. Younger and better-educated Chinese were more likely to be critical of Mao, the Global Times said, while older respondents and those with a high school or vocational school education were more likely to revere him. One potential reason for the Mao nostalgia among older and less-well-educated respondents could be China\’s widening wealth gap, the paper suggested. \”Fairness being the second most popular of Mao\’s merits makes sense as it\’s part of the reason that people miss the Mao era, because the wealth gap was not as big as now,\” Zhao Zhikui, a researcher at the Chinese Academy of Social Sciences, told the Global Times. 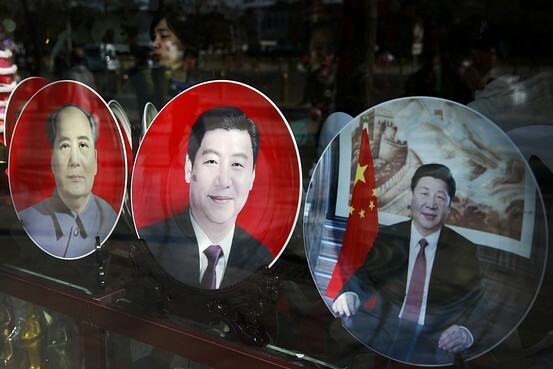 via Mao’s achievements outweigh mistakes: state media poll | South China Morning Post.